To the eternal question -- "What happens when we die?" -- the human species has searched for answers in a wide range of spiritual and scientific realms. Though I am not affiliated with any organized religion at the moment, I have always tended to think something happens, if only because of our inability to grasp the complexity of the question. I have an uncle who is of the belief that nothing happens, that we should enjoy the here and now because we end up as food for earthworms. Science has persuaded him of this, yet I am just as certain that there are aspects to our existence that are unknowable. 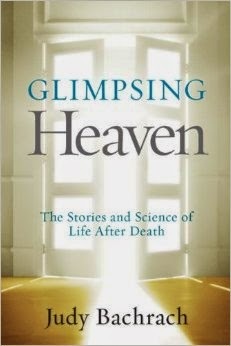 So I came with an open mind to Judy Bachrach's book, Glimpsing Heaven: The Stories and Science of Life After Death. But I also approached it with the eye of an experienced journalist, which is to say I held the author to high standards of reporting and writing. Happily, she exceeded both. Drawing on interviews with an array of people who have had what is commonly called "near death experiences" -- but what she refers to more accurately as "death experiences" -- Bachrach exhibits the same journalistic skill that has distinguished her as a contributor to Vanity Fair. All had been declared legally dear, yet they retained a consciousness that existed outside of their bodies. They came back and spoke of experiencing "pure unconditional love," of seeing deceased relatives and being overcome with enlightenment. And, yes, they remembered being drawn to a "white light." One "experiencer" Bachrach spoke with was Bill Taylor, a computer analyst who had suffered a heart attack. "The next thing I knew, I was out in space, looking on all the stars and planets ... There were threads connecting all of the bodies in the universe. And I am also connected to all these forms ... The threads were energy -- and it was love that connected everything to everything." Interviews with doctors and scientists who have explored this subject are woven into the narrative, which Bachrach moves along at a highly readable pace. There would appear to be agreement among them that something indeed happens when we die, although it is not yet clear how or why. No book of this sort could possibly answer all of our questions, but it does give us the "glimpse" it promises into a realm that exists beyond the wall of time. And it reminds us again how little we know. Mark Kram Jr. is the author of the PEN/ESPN Award-winning narrative Like Any Normal Day: A Story of Devotion. We at "The Gods Are Bored" now have six readers! And to all six, and anyone else out there, we wish you a shopping-free, work-free, family-filled holiday! This was my back yard on Polish Mountain. No wonder I love buzzards. Well, what do you know? "The Gods Are Bored," founded in 2005, now has 2200 entries and 500,000 page views! This is cause to pause. Or, if you're a cat, claws to paws. My profile picture comes from the East Coast Vulture Festival in, I think, 2005. This here is of more recent vintage. Almost a decade later, I think I look pretty much the same. When I became a Pagan, one of the things I decided was to have a more lighthearted approach to religion. I know there are people who take their faith very seriously. I'm not flippant, but I'm more curious than committed. This has led to a falling-away of my readership that is more serious and philosophical ... mostly. But folks. After 45 years of never emitting more than a polite titter during a worship service, I just can't not laugh. Make a joyful noise! I find, generally speaking, that Pagans are good at that. *Cats. Kittens. Alpha, Beta, and Gamma. I am Woman, hear me purr. *Bored Gods. This means any deity who has suffered at the hands of the One God juggernaut. I have interviewed Gods and Goddesses from multiple pantheons on all continents but Australia (gotta work on that). Except for Mars, they have one and all been kind and supportive. *Politics. Remember labor unions? I believe in them. When they're all gone, I'll be able to tell the starving wretches about them as we huddle together in shanties. United we bargain, divided we beg. And all I see these days is begging. *Rants. I haven't torn into any morons lately, but the next presidential cycle is about to get under way In the meantime I'm sharpening my skewer for "school reform." I'm determined to find the wry humor in it ... somehow. *Mountains. Came from them, will return to them, probably in an urn. *Faeries. You want commonsense nonsense about faeries, this is your stop-and-shop. I know the literature, but I've walked the walk with the fae. For years. Respect is the key. 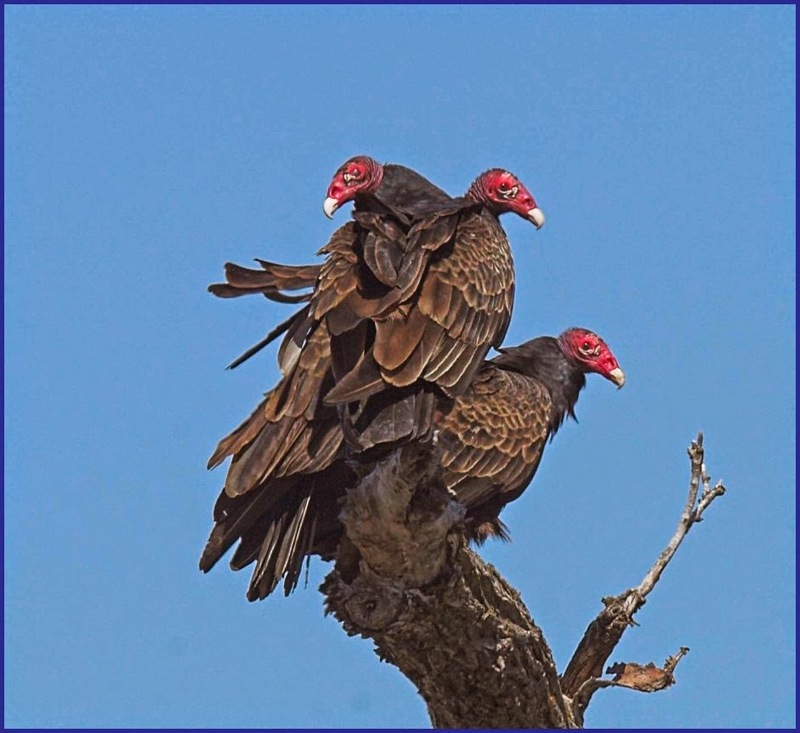 Whenever life gets me down, I simply ponder the magnificence, the feathered glory, that is a turkey vulture. So here, in my 2200nd post, I re-affirm the primary mission of this web site, which is to elevate the vulture to lofty heights! Whatever else I do, the buzzards come first. So, tell me how long you've been camping at "The Gods Are Bored!" Gosh, 2200 posts! Once I got started, I just didn't know when to quit. It's not in the short-term forecast either. Have a vulturous, vulture-filled, buzzardelicious day! 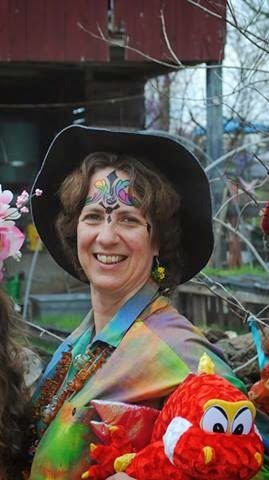 Two years ago my school district lost an administrator who was thoroughly and universally loathed. At the time, he was teaching two classes of freshmen and serving as an administrator the rest of the day. The principal replaced this departed insect with a strange "new" teacher. The "new" teacher, I'll call her Mrs. X, was a recently retired parochial school educator. Mrs. X had taught school, had been a principal, and had been a superintendent of diocesan schools in the area. Basically, she came back to teach at my school because she was handed a public school salary in keeping with her level of expertise, plus she was drawing a pension from her former job. This lady was set to rake in the cash, and she was thrilled about it. Frankly I was thrilled about it too. Mrs. X, slender and stern, walked in and took charge. She was old-school, and watching her enriched my own teaching. An easy truce was established when I explained why I was out of school on Samhain (maybe this was the education she needed about the plurality of public schools). After that we were in complete understanding of each other. I didn't even resent her higher salary or her devotion to Roman Catholicism. To my way of thinking, she was an expert and deserved the ducats, and her faith took a back seat to her teaching. It's ironic that this high-level educator found herself on the receiving end of evaluations again, after doling out evals so long. She accepted her "newbie" status with grace and was open to all feedback about her practice. Not surprisingly, she got good evals. She took her feedback with humility and grace. Bottom line, Mrs. X was an asset to our school. And then came Charlotte Danielson. Charlotte Danielson is not a person. Well, she is a person, but she's more like a thing these days. And that thing is a draconian teacher evaluation rubric steeped in epic complication. During the second year that Mrs. X was on our staff, our administration announced that it would begin using the "Danielson Framework for Teaching" evaluation system at the beginning of the next school year. Mrs. X had heard of this pestilence. She had even used it -- but in a wise way, in a bits-and-pieces way. She had not used it in the wholesale way that my district iintended to use it. Upon hearing that my school district was going to use the "Danielson Framework" in a comprehensive manner, every nut and bolt, Mrs. X tendered her resignation. "This is too much aggravation," she said. "It trumps the money." My dear three readers, welcome to the era of "school reform." "School reform" is supposed to get rid of the "bad apples" in teaching. You know, the teachers who sit on their behinds all day, showing videos, basically cashed out. Well, I don't know about those teachers. I haven't seen any of those in my school. But I do know that the first person pushed out of my school district by the Charlotte Danielson "Framework for Teaching" was a master educator who had actually used Danielson and knew all about it. In other words, "school reform" robbed my high school of a gem. A person I admired. A person I miss. Occasionally Mrs. X comes in for a day of substitute teaching. (I always ask them to hire her for days when I'll be out.) She misses the gravy train she was on at my school, but no amount of money could induce her to stay and sweat out Danielson evaluations. If you are the slightest bit curious about an evaluation tool that sends master teachers running back to a life on a parochial school pension, stay tuned. I'm on the front lines of school reform, and I want you to see what it looks like. Wow, I really wanted to start a new blog and give it this title, overall. I would have a million sympathetic eyeballs in two weeks. My readership, consisting as it does of high intellectuals and spiritual explorers, might never have heard of Charlotte Danielson. It's time for me to introduce her --and the Orwellian nightmare she has spawned -- to those not familiar with her. This is going to take awhile, and it's ongoing. But if you're keenly interested in the direction our country is headed, please come along on this ride, because Ms. Danielson is influential. She might turn out to be as influential as the cancellation of the Glass-Steagall Act. The first thing I'm going to say about Charlotte Danielson is the same thing I will say about anyone who is a former teacher and now is a "consultant," or an "author," or a speaker, or any kind of talking head making bank on modern education: She can't teach. Wow! That's a bold assertion for the creator of a newly-deployed teacher evaluation tool of epic proportions. Charlotte Danielson can't teach. How do I know this? Because people who really love to teach, and who are good at it, stay in the classroom. There's not a single little kid who gazes whistfully out the window and says, "Wow. Some day I want to be a vice principal!" Or, "Oh, I hope I can achieve my dream of being a middle manager in an education setting." No! People dream of becoming teachers. If they're not very good at it, there's a career ladder like any other business. Teaching is the bottom rung. Charlotte Danielson claims to have been a teacher, but the details are a bit nebulous. Of one thing I am certain, however. She has never had to sit and sweat out a teacher evaluation using the baffling rubric that bears her name. Her "nonprofit" is wallowing in the ducats, though. The Danielson Framework for Teaching is one of two major teacher evaluation systems being shoved down the troats of suggested for implementation in public school districts today. Reader, please don't bother wandering into the Danielson Fun House via the link above. I'm living in the basement of the Fun House, and I'm going to give you a seat by the furnace. I'm actually a success story (sort of) with this evaluation tool, but that only makes things better. I don't have a personal axe to grind. I'm just a Druid with a love of justice. And in education these days, justice is not for all. People like Charlotte Danielson see to that. Wow! My three readers chimed in! They want dispatches from the danger zone! Thank goodness for that, because I'm in it, the place is unjust, and it's part of my religion to oppose injustice. Human beings have been judged by machines for a long time. Think of all the runners who have had their times clocked by a long string of increasingly complicated stopwatches. Machines have been testing students for a long time as well. Who among us has never held a Number Two pencil and pondered multiple choice questions on the SAT? Still, America is unprepared for the new wave of test-scoring technology. Forget being judged by the content of your character. That was so 20th century. In our Brave New World, students will write essays, even speak out loud into computers, and software will grade their efforts. We will become a nation whose achievers are chosen by machine. The Obama Administration's push for national standardized testing is pretty fuzzy on how millions and millions of "assessments" will be scored accurately within the space of a few months. Please feel free to do the math yourself. If every tenth grader in America has to take a test with two full-length essays on it, and there's been no call from any direction for people to be paid to score these puppies, what else will score them but Artificial Intelligence? I'm not relying on speculation, readers. I attended a workshop last month at Kean University. The speaker, Carol Jago, admitted that within a decade, all national testing will be scored using Artificial Intelligence, i.e., computer software. It won't matter what you say, so long as you use big words and correct grammar. Ideas will be decidedly secondary. And confounding all notions of propriety, one of the standardized tests will be narrative writing -- fiction. Traditionally, the students at my Vo-Tech have done pretty well on state standardized tests, because these tests have been scored by human beings. Human readers can see through the grammar, the Spanglish, the ebonics, to the flair these students exhibit as writers and to their ideas. Artificial Intelligence will be programmed to reject Spanglish and ebonics. It will be programmed to look for sophisticated vocabulary and grammatically correct sentence structure and punctuation. All of these are important, but what about ideas? Can a machine be a good judge of creativity? Better yet: Do we want the future of our American student body to rest on the judgment of Artificial Intelligence? They really are out to get public employees. By "they" I mean certain politicians and high-end businesspeople. The politicians would like to be free from pension and salary obligations. The businesspeople want to sell their wares -- and they want to re-create that perfect teacher they had, or they've seen. When you're a billionaire, you can pull lots of strings. 1. School teachers will no longer be given any protection from sudden dismissal. Parents, capricious supervisors, students, and politicians will decide who stays in the classroom, and who goes. 2. Teachers' salaries will be decided by the businesses running the schools. These businesses will be able to set any price for service that they please. This will save the taxpayers money. And if teachers balk at earning less, they can quit ... There will always be someone willing to take their place. 3. Student achievement will be tied to standardized tests. Teachers will spend most of their classroom time prepping kids for the tests. If the students don't do well on the tests, the teachers will be fired. 4. Schools will become platforms for the businesses that run them. If the owner of Microsoft (easy example) wants to, he will demand that every school have new Microsoft products every year. These can be bought with funds saved from teacher and support staff salaries. 5. Extraneous employees such as janitors and secretaries will be dismissed. Students and teachers, mostly teachers, will be responsible for keeping the school clean. Support staff will do their own secretarial work. This savings in salaries can also be used to buy more products from the business that owns the school. 6. The person holding a student accountable for behavior will be the parent. If the parent has no respect for education (having listened to governors describing teachers as lazy and lousy), the teacher will have no standing in any dispute with a student. 7. People who have spent decades in a profession will have no retirement funds upon which to draw. Teachers, whose salaries are already low, depend upon pensions to pay for their declining years. If these pension plans are un-funded, many existing teachers will not have any retirement income except social security. People who only work ten months a year aren't in any position to contribute hefty sums to a 401K. 8. When education is privatized, no one in his or her right mind will choose to be a teacher. Those not in their right minds will rush in for those jobs. I am at a new crossroads, reader. I've got a front seat for the Assault on Public Education. Like it or not (and I don't like it), this is the battle I'm fighting. I've fought other battles on the platform of this blog. Teaching has nothing to do with religion, thank goodness, but I'm afraid I'm going to have to set up my soap box here and talk about the education crisis. If you're not interested in this topic, maybe you know some teachers who are. I ask you to invite them. Please, all three of you loyal readers ... come along with me on this ride! I've always depended upon your support. Now I need it more than ever. Modern colleges thrive on a pack of lies. The biggest one, of course, is the one The Heir got fed: "Workplaces are looking for people with liberal arts degrees, because these people are used to higher level thinking." What a crock. Spare is at an art school, where a more pragmatic approach prevails, but the snobbery is still there. In this case, it's the idea that film and t.v. producers are foaming at the mouth for people who have learned the proper way to write scripts and pitch them. Last Thursday, David Simon came to speak at The Spare's art school. He is an HBO producer best known for "The Wire." I grabbed a season of "The Wire" from the library last year because I heard that the show dealt with inner-city schools. And I loved it. The show not only dealt with inner-city schools, it got the whole thing right, including the ridiculous standardized testing and the fact that teachers are powerless over the lives their students live outside the school walls. 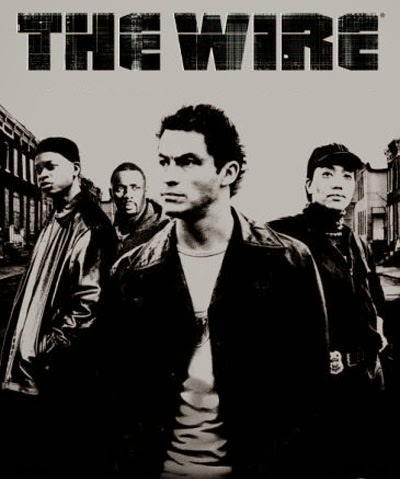 I liked "The Wire" so much that Mr. J bought me the boxed set for Xmas. Watched it. Loved it. Terrific show about crime in Baltimore, all the way up to the biggest criminals, which are the politicians and real estate developers. I was beyond thrilled to be able to hear Mr. Simon speak at Spare's school. He was invited by the school's fledgling creative writing program. I don't think this particular arsty ivory tower was ready for Mr. Simon's message. In a nutshell, Mr. Simon said he's no artist, television dramas are collaborative, and he was lucky to have been a curious print journalist on a big-city paper, in this case the Baltimore Sun. When gently prodded by a professor as to what kind of production team he looked for when beginning a television series (no doubt to bolster the ambitions of the attending student screenwriters), Simon said he wants nonfiction prose writers and people who have lived the experiences that he is depicting in his show. He said there's hardly ever anyone under 40 on his teams. David Simon also offered what, to me, could be the perfect gem about television drama. He said that he knew he wasn't interesting himself as a suburban white male, so he went into journalism to write about people who were living more interesting lives. Of course this led him to the homicide department of the Baltimore City Police, where the workers pray for a string of dull days. This was a blow not only to the professors teaching exactly what Mr. Simon says he hates ("people who write to the commercial"), but also to the young writers in the audience who have no access to jobs in print journalism. That medium is sinking like the Titanic on Iceberg Day. Where will the gritty, honest, realistic dramas of the future come from? How will people support themselves if they try to follow a good story source? I don't know the answers to these questions. I only know that the avenue David Simon pursued is disappearing into the mists of time. How sad and starved we will be when the ink-stained wretches are all gone! Isn't that what we're about here at "The Gods Are Bored?" Check out our Spare and her pumpkin spice ... condoms? Life is very random, and so friendships are formed rather randomly. You become friends with the people you work with, you become friends with the people you worship with, and of course there are the neighbors. Sometimes, however, all of these methods of acquiring friends fall short. You don't choose who you work with or who lives near you. The one thing you do have some control over is where you worship, and with whom. But that falls short too, often enough. I had a dozen "friends" at the United Methodist Church. Not one of them looked at the world the way I do. I left their circle ten years ago and don't miss them a bit. When I became a Pagan, I underwent a spiritual transformation. This had nothing to do with finding friendship at all. It was an inner shift, a philosophical and experiential shift, and it happened in a solitary setting. In other words, I did not become a Pagan because I felt like it would be a path to finding friends. Being a Pagan has been a terrific way to find friends. Maybe it's like love -- it comes where and when you least expect it. Even my most glancing interactions with other Pagans (not including Facebook) are informed by a colossal likeness of mind. This is not entirely because of shared Pagan deities or rituals. It goes beyond that to a broader interaction with the world. Almost all of the Pagans I have met since my spiritual transformation in 2005 have been well-read, nature-loving (duh! ), humorous and imaginative people, often with humorous and imaginative children. And because Pagans aren't burdened with the need to upkeep lavish churches, the interest Pagans show to one another is less about wooing and more about genuine shared interests. This weekend I got together with two friends I met through the Pagan community. I didn't know either one of them in 2005. Now I consider them "best"friends. This is because independently we do the same things. In other words, I started doing stuff that they were doing, we met, and now we do stuff together. We're not in lock-step, but we have common ground beyond just our praise and worship paths. If there's any free advice to be had from this sermon, it is this: When your path of worship opens up to you, it's likely that the people you meet will be kindred spirits. This might not be true if you are following a faith handed down from your parents or just strongly supported by your community. I know very well that some Pagans have been burned by friendships formed through their faith. I'm not one of those people. I feel blessed to have met the people I've met. And I feel truly blessed to have found some really wonderful people with whom I have formed close bonds. So, to my 21st century friends: If I hadn't left the United Methodist Church, I never would have met you. If the Gods hadn't spoken to me in my solitude, I never would have met you. Praised be the bored gods! I didn't ask, but I received all the same. It's been some years now since I determined to adjust to the flatlands and learn to love the sea. As a kid from Appalachia, I never liked the ocean. When you've dipped into a first-rate freshwater swimming hole, the ocean can only be regarded with loathing and hostility. I've never revised my low opinion of swimming in the Atlantic, but I have found an interest on the shoreline. I collect sea glass. Me, and every other 50-year-old white woman within driving distance of sandy beaches and wave action. Today New Jersey's public school teachers convened in Atlantic City for our annual self-pity festival. I decided to go, since my bargaining unit didn't tell me not to. Of course, the big draw of the teachers' convention, for me, is that it's a half mile from the sea glass beaches. With an early start, I could spend a couple of productive hours beach combing and still make it to the convention for a workshop. The weather was miserable, 55 degrees and pouring. To me this seemed like an excellent opportunity to have the sea glass beach to myself. But OH NO. Every single time I go to look for sea glass, there's always some other midlife white woman ahead of me. That beach is picked clean 99 times out of 100. So there she was, in her rain poncho, with her bag of frosted gems in her hand. In vain did I search for anything worthy of picking up off the sand. Finally, in frustration, I went to a different beach. And there, King Triton and Queen Oshun (being bored deities that I praise and worship) tossed to me two lovely finds. One is the bottom of a 7-up bottle, a nice old one. The other is a jewelry-grade piece of cobalt blue. So all was not lost! Then I went to the teacher convention, and it was colossally depressing. Can you keep a secret? There's nothing ... not one thing ... about the teaching profession that appeals to me. At this convention you couldn't even get free candy without forking over your email address. What kind of swag fest is that? This was my day. All glory, laud, and honor to Triton and Oshun, mighty deities of the briny deep! 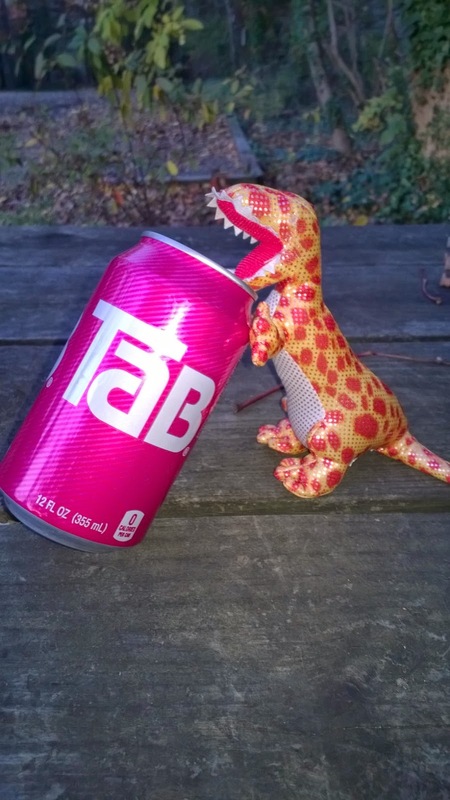 It's Dinovember, a month when plastic toy dinosaurs come to life in order to amuse children and lure them away from the computer screen. Hooray for the humble plastic dino! Mind you, this was 4:00 in the afternoon! 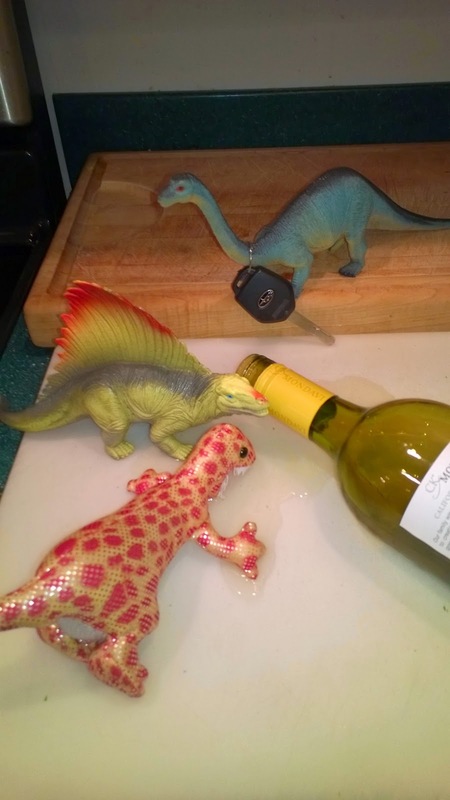 About the only thing positive I can say about coming home to the sight of plastic dinosaurs sucking down wine is that it appears they elected a designated driver. It's DINOvember, and sadly, not all DINOs are made of plastic. You've got your human DINOs as well. Lots of them, as a matter of fact. Today was election day here in America, and my local congressional district offered up two major choices: On the Republican ticket, an obscure ex-Philadelphia Eagle with no experience outside the gridiron, and on the Democratic side the blood brother of one of New Jersey's most venal, repulsive, and downright dangerous political bosses. Here's today's DINO. Recall, please, that DINO as an acronym means "Democrat In Name Only." 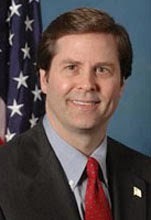 This creature, Donald Norcross by name, said in his campaign literature that he would "work for the middle class." He's not fooling anyone. He's going to Washington to work for his brother, to get government contracts for his brother, and to peddle influence for his brother. They're both carnivorous one-percenters who have absolutely zero interest in the will of the people. I can't believe this, and I almost hate to admit it, but I did something today I have never done before. I voted for a Republican. The cynical abuse of power by this Norcross family has me completely disgusted and deeply, deeply suspicious. It was easy to vote "no confidence" in a situation where the blue guy is nefarious and the red guy is a black guy who would be Congressman for the city of Camden. Not all DINOs are rocky bones in museums. Not all DINOs are plastic toys. Many DINOs are politicians who, like T. Rex sizing up a weary Hadrosaur, will do what it takes to get power and hold onto it. I'm so tired of politicians who promise to fight for the middle class and the poor right up to being elected -- and then merrily forget the middle class and poor exist. Today's post is dedicated to the DINO, a creature in no danger of extinction. There's an event called "Dinovember," created by a pair of enlightened parents who wanted to show their children that there's more to life than computers. The parents told their kids that, at night, the plastic dinosaurs come to life and run amok. This fabulous mom and dad team then proceeded to allow plastic dinosaurs to do whatever they chose, every night. The obliging dinos posed for photos ... and of course now it's all on Facebook. We at "The Gods Are Bored" have a long and storied history with plastic dinosaurs, providing a plentiful supply for a local, dinosaur-themed park. Alas, here in Snobville, the plastic dinosaurs seem to be having issues. This one is not making healthy lifestyle choices. And this is just the beginning. Today is November 3. We always take for granted that holidays are going to be happier than the rest of the year. I know that I was looking forward to a classic Samhain and also to a meeting of our Druid Grove on Sunday. At 1:30 on October 31, I got a phone call from Mr. J. He got into a bad accident on Philadelphia's busiest highway. All he could tell me on the phone was that he was all right, but the car was demolished. I had planned to leave work early that day anyway. As I drove home in our second car, a hopeless bucket of bolts on loan from Mr. J's mom, I heard the traffic report on the radio. You know these reports, if you live in a big city. They come on every ten minutes to report any accidents or tie-ups. Mr. J's mishap was on the report as a "disabled vehicle" on I-676 westbound. All I could tell myself was that he was okay. And that it couldn't have been his fault, because he's a safe driver. And that Subaru lives up to its hype. Mr. J. spent three and a half hours on the shoulder of the Sure Kill Expressway. They couldn't find a tow truck that could lift the car, since the car wheels locked on impact. He didn't make it to the auto body shop until 6:30. And even picking him up from there was a nail-biter, with all the little kids darting across the road in the dark. When we finally got home, I lit a bonfire to the Gods and the Ancestors. Well, sort of a bonfire. Well, to tell the truth, kind of like a really little bonfire. Okay, okay, I loaded my outdoor shrine with candles. They looked beautiful all lit up in the darkness. We're all safe and sound here today. Accidents happen, and no, of course it was not Mr. J's fault. I'm just glad he walked away. To be more precise, I'm glad he got driven away by the tow truck that could actually move the car. I hope your Samhain was eventful in all ways but this. Have a happy new year!